After a long delay A2Dominion have submitted their planning application for the old art-deco fronted Woolworth’s site in West Ealing. 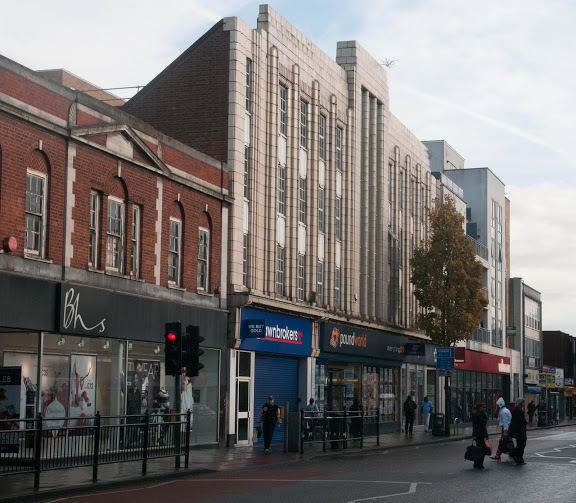 It’s likely to prove a controversial application given the many hundreds of people who signed West Ealing Centre Neighbourhood Forum’s petition to save the art-deco facade. (You can still sign this petition here.) The application sees the site demolished so the facade will go if the application is approved by the Council. The application is for 120 flats and just under 1,000 sq metres of retail space on the ground floor. The block will be up to 11 storeys at the front along the Uxbridge Rd and up to 15 storeys at the back on Singapore Rd. From looking at the drawings this makes it taller both front and back than any of the existing nearby buildings. The application can be found here. The closing date for comments is 8th June. If you would like to object to this application we have produced quite a detailed set of six points for you to consider. Also, at the bottom you will find a template letter with short summaries of these six points which you can use and amend as you wish. So, the plans fall short on both counts. The Design and Access Statement submitted with the proposal states that in accordance with Policy 3.2 of the London Plan (2016) and Policy 3.4 of the Ealing Development Management DPD (2013) this site is classified as ‘Central’ due to its location in a Metropolitan Town Centre. The density range guidance for this site is therefore 215-405 units per hectare and 350-1100 habitable rooms per hectare. This site is approximately 0.20 of a hectare. The proposal is to build 120 units. This gives a density of 100/20 x 120 which comes to 600 units per hectare, almost 50% higher than the maximum density specified in the London Plan. Whilst the Council and/or developers may argue that the London Plan is only for guidance it does clearly state ‘development proposals which compromise (the matrix) should be resisted.’ We believe the Council should resist this proposal as its density clearly compromises the standards laid down in the London Plan. With up to 11 storeys at the front on The Broadway and up to 15-storeys at the back along Singapore Road this planned building is significantly higher than any around it. Whilst the architects have made some design and height alterations following last year’s public consultation the proposed building still dominates the skyline. It remains out-of-keeping with the size and height of the new buildings that have established the current standards along this stretch of the Broadway – Pershore House, Rosemoor House, Hyde House and the Holiday Inn Express hotel. Commenting on the previous Green Man Lane Estate proposal, the then Mayor and Deputy Mayor expressed serious concerns about the scale and massing of the proposed buildings along Singapore Road. Particular concerns, as listed within the report (ref: PDU/2553a/01) included the size and overbearing scale of the elevations facing Singapore Road, the articulation of the building through the massing, and the scale of the building when viewed from Broadway, along with the buildings’ visual relationship with the town centre. Adding an even higher building of 15-storeys on Singapore Road simply further increases these concerns and the impact on the many hundreds of residents already living and soon-to-be-living along this road. The design is out of context with the existing and planned buildings on either side. The initial design has been amended following last year’s public consultation. This current design is claimed to be a modern interpretation of the building’s original art-deco façade. The art-deco style of building is a significant visual feature of this end of the West Ealing Broadway with the two Catalyst Housing Assn owned buildings either side of St James Avenue and 154A The Broadway (above the Juniper shop) which had to keep its art-deco style when the Council gave permission for an additional floor to be added. The design for this new building lacks the subtlety of the next door building Rosemoor House which has incorporated an art-deco style frontage on The Broadway in a much more muted and less brash style. The proposed balconies on the Broadway side are very unlikely to be used by residents for sitting out on given the high level of air pollution along this very busy road. From past experience the balconies will be used for storage and hanging out washing. This will make the frontage look a mess as has happened with the Rosemoor House next door. The proposed demolition of the existing building will mean the loss of the iconic art-deco façade. This façade is almost certainly the most recognisable feature of the West Ealing high street. The cumulative effect of all the recent and proposed housing developments along and close to the Broadway in West Ealing may raise significant social problems for the area. In the last few years this stretch of The Broadway backing on to Singapore Road has seen, or will see, an extraordinary number of high-rise housing developments – the Green Man Lane Estate, The Appleton (BHS site), Rosemoor House, Pershore House, and Hyde House, let alone the developments that may be proposed at the recently purchased Sainsbury’s site. This level of development raises the serious prospect of bringing with it serious cultural and social problems associated with this type of densely packed housing. West Ealing has long-suffered from serious anti-social behaviour, much of which centres on these new housing developments, and this and similar developments threaten to undo all the effort and hard work put in to tackling anti-social behaviour by the Council, police, housing associations,faith groups and residents’ groups. Ealing Council in its Housing and Homeless Strategy 2014-19 has as one of its key outcomes to ‘Ensure 50% of new homes are affordable housing’. Plans for this site are for a total of 35% affordable housing and not 50%. The density range guidance for this site is 215-405 units per hectare and 350-1100 habitable rooms per hectare. This site comes to 600 units per hectare, almost 50% higher than the maximum density specified in the London Plan. With up to 11 storeys at the front on The Broadway and up to 15-storeys at the back along Singapore Road this planned building is significantly higher than any around it. The proposed building will dominate the skyline opening the door for yet higher developments in the future. It remains out-of-keeping with the size and height of the new buildings that have established the current standards along this stretch of the Broadway – Pershore House, Rosemoor House, Hyde House and the Holiday Inn Express hotel. Commenting on the previous Green Man Lane Estate proposal, the then Mayor and Deputy Mayor expressed serious concerns about the scale and massing of the proposed buildings along Singapore Road. Particular concerns included the size and overbearing scale of the elevations facing Singapore Road. The design is out of context with the existing and planned buildings on either side. The art-deco style of building is a significant visual feature of this end of the West Ealing Broadway. The design for this new building lacks the subtlety of the next door building Rosemoor House which has incorporated an art-deco style frontage on The Broadway in a much more muted and less brash style. The proposed demolition of the existing building will mean the loss of the iconic art-deco façade. This façade is almost certainly the most recognisable architectural feature of the West Ealing high street. 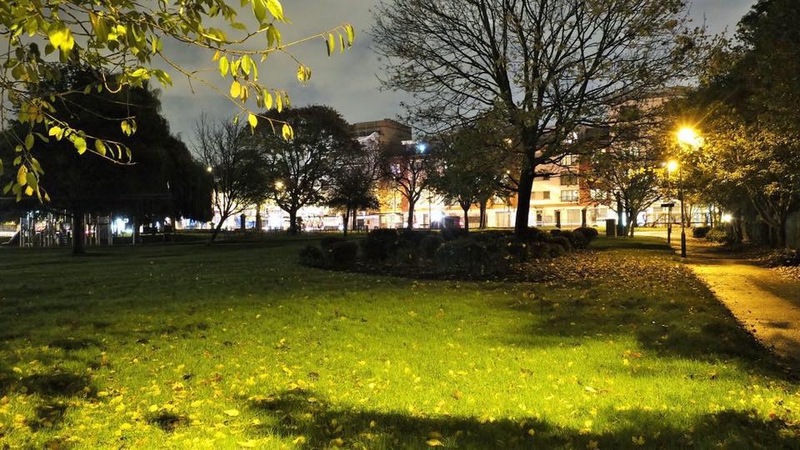 The cumulative effect of all the recent and proposed housing developments along and close to the Broadway in West Ealing may raise significant social problems for the area. In the last few years this stretch of The Broadway backing on to Singapore Road has seen, or will see, an extraordinary number of high-rise housing developments – the Green Man Lane Estate, The Appleton (BHS site), let alone the developments that may be proposed at the recently purchased Sainsbury’s site. This level of development raises the serious prospect of bringing with it serious social problems associated with this type of densely packed housing. Next PostNext Is this the end for West Ealing’s Poundworld?